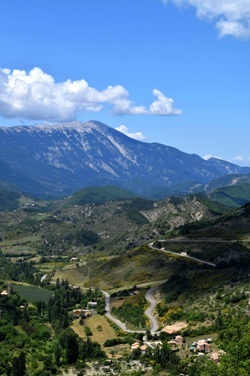 This unique 200 mile itinerary is designed to offer you a taste of the Alpine experience in the spiritual home of cycling. 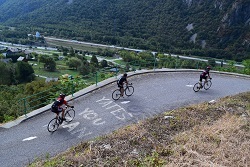 Feel the buzz of cycling through some of French Alp's finest scenery… the breathtaking Col de la Colombière, Col des Aravis and Cormet de Roselend are certainly highlights of this amazing cycling break. You will be following in the tyre tracks of many famous tour winners - just remember this when you are desperately struggling up the Colombière! This is a compact, but adventure filled 4 days. Flying in early to Geneva, we shall then ride out early for a full day, on day 1, and expect a late flight home on night 4. Will be in simple hotels throughout the event (including buffet breakfasts). The standard of accommodation will fluctuate throughout the trip - but is designed to be functional - and to enable us to get a good night's sleep - and continue with the challenge. You will be sharing in twins or triples. If you require a single room then please request this at time of booking (a small supplement will be payable). Upgrades are also available for an extra charge if required. Please note, it is extremely important for this physical challenge that you are in good health. If you have any pre-existing medical conditions, please consider carefully whether you should be joining the challenge. Please ensure you fill in the booking form accurately and honestly, this is important. In the case of serious conditions (epilepsy, diabetes, heart conditions, recent illness or operations), please discuss the challenge with your GP. Please also ensure you notify us of any allergies or similar. Experienced Cycle Leader, Full Vehicle Support and Driver/Mechanic, First Aider, Pre-event briefing, Accommodation (3 nights), Full buffet breakfasts every day. It is wise to prepare for all weather types, you never know we may be pleasantly surprised! Hat and gloves are essential for this trip! Warm tracksuit trousers are recommended. It is advisable to bring suncream. As we cross the Alps - temperatures will drop - so be ready for a range of temperatures.